"Thai" is the name of a minority group living in the north of Vietnam. Thai women make their own clothes. 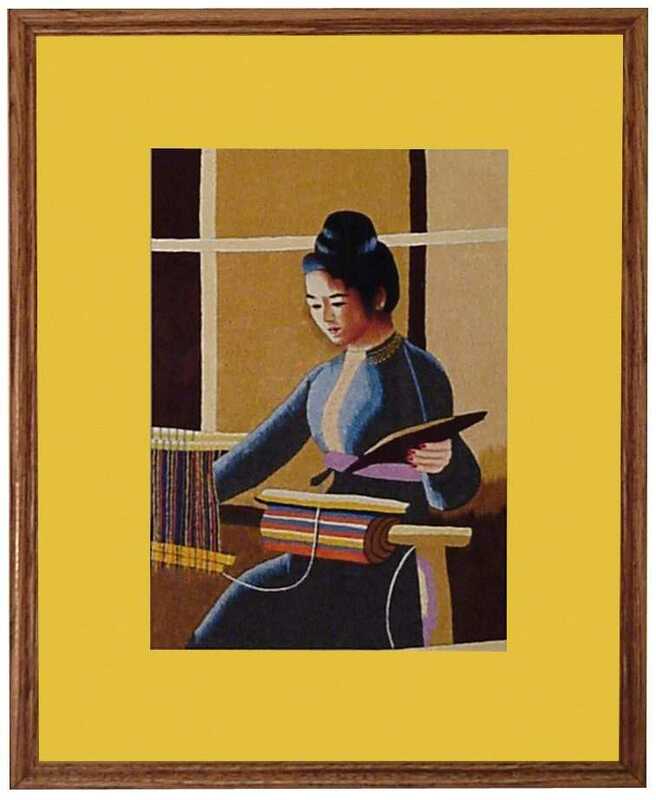 This woman is weaving the silk. This is a daily life activity of Thai women. They are the portraits of beautiful vietnamese girls: northern, central, southern and mountainous girls. Making people' portraits requires a very high embroidery skills. The beauty of the girls are formed by each tiny thread. The paintings are amazingly live and natural. 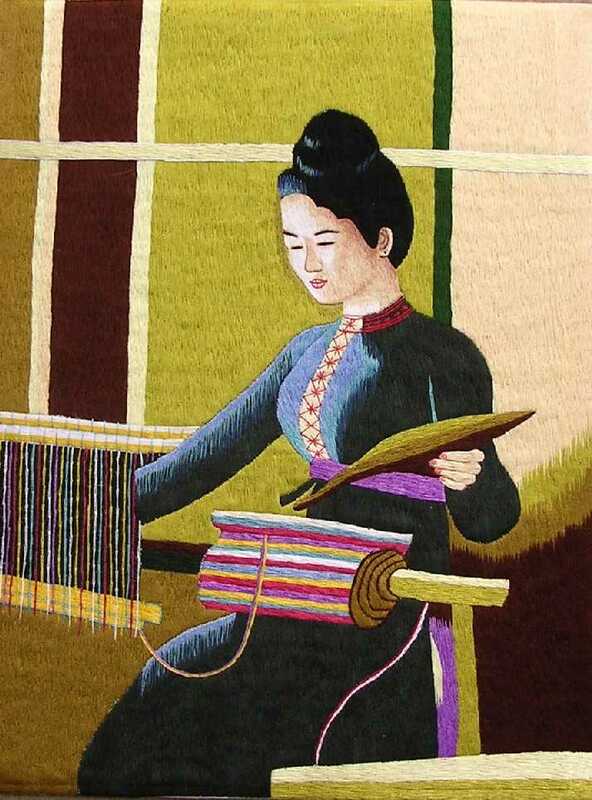 This is the authentic vietnamese embroidery art. Each piece includes the handmade wood frame with glass. We will ship very carefully so the glass will not break. There is a secure wire on the back so they are ready to go on the wall immediately. Please click on the detail picture to see the frame. The frames are proudly made in Madison, Wisconsin by www.gregswoodshed.com.